Halfway to Forth now have MERCH! 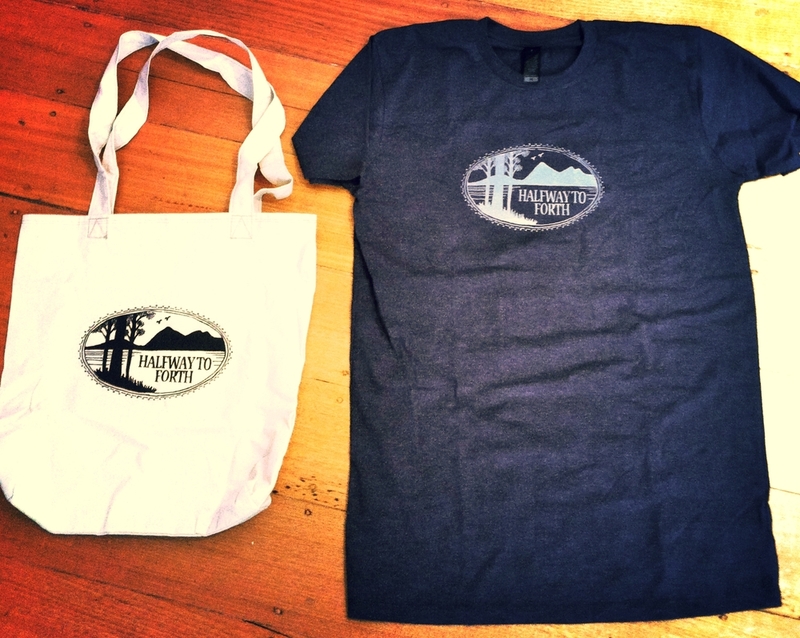 We now have sweet homemade (but totally pro looking) t-shirts and tote bags! Both will be available at our album launch on the 11th! After that they will be available from our bandcamp store (link below). Welcome to Halfway to Forth's new fandangle website!